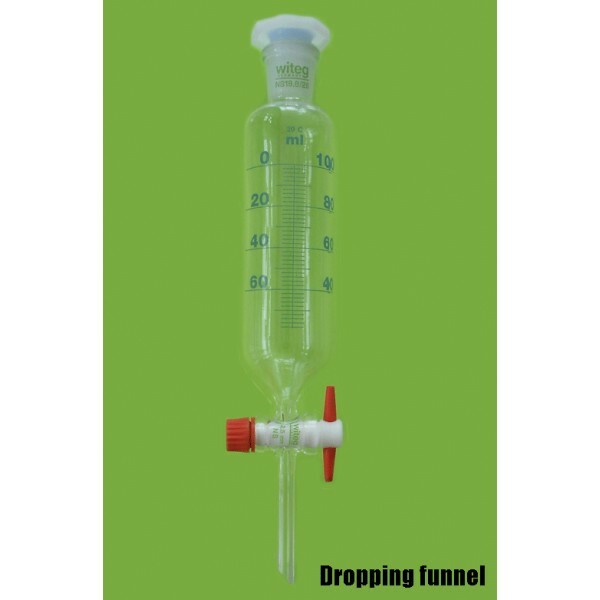 Dropping funnel or Separatory funnel cylindrical. -With detachable PTFE-stopcock. Bore of plug 2.5 mm, stem length 100 mm.